A coming of age comedy about a teenage boy whose life is thrown into chaos when he discovers adult magazines, girls and the embarrassment that goes with both. 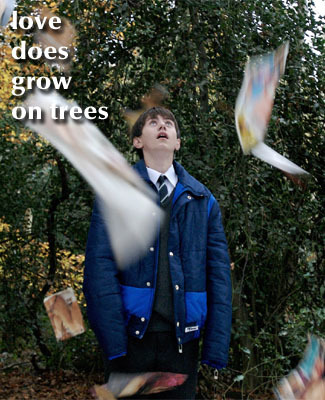 Synopsis: LOVE DOES GROW ON TREES is a coming of age comedy about a teenage boy whose life is thrown into chaos when he discovers adult magazines, girls and the embarrassment that goes with both. A sweet, nostalgic story of lust, guilt and, ultimately, first love. Also, it will explain - for anyone who ever wondered - just who did put those magazines there?